CBI on Tuesday arrested promoter of FTIL and commodity bourse MCX Jignesh Shah in a case of alleged cheating and suppression of facts in getting SEBI extension to MCX-SX to continue as a private stock exchange in violation of norms. "The Central Bureau of Investigation has today arrested a promoter of two private companies and conducted searches at nine places in Mumbai, including the residence and office premises of the said promoter of Mumbai-based two private companies," CBI spokesperson R K Gaur said on Tuesday. The move came after CBI searches at nine locations, including the premises of Shah, FTIL, MCX, senior SEBI officials --Executive Director Muralidhar Rao, DGM Rajesh Dangeti and AGM Vishakha More-- and a former Executive Director of SEBI, J N Gupta, in connection with the case registered two years ago, the sources said. MCX-SX had started functioning as a stock exchange in 2013 after a long legal battle with SEBI. Meanwhile, 63 moons (formerly known as FTIL), said in a statement, "Pursuant to the applicable regulations of SEBI (LODR), Regulations 2015, please be informed that Central Bureau of Investigation, Economic Offence Wing, Mumbai, is conducting search in connection with FIR ... relating to recognition granted by SEBI to MCX-SX (now Metropolitan Stock Exchange of India Limited)." MCX also gave a statement to BSE, saying the CBI search is going on in respect of recognition granted by SEBI to Metropolitan Stock Exchange of India Limited (formerly known as MCX Stock Exchange Limited) for starting its stock exchange in trading in currency and other segments in respect of case no. RC 9/E/2014". CBI had filed the FIR in the case under IPC sections related to criminal conspiracy and cheating besides provisions of Prevention of Corruption Act for alleged abuse of official position. The agency had alleged that the promoters of MCX-SX had entered into a buy back arrangement with a nationalised bank in violation of Securities Contract Regulation Act, 1956 and Securities Contract (Regulation) (Manner of Increasing and Maintaining Public Shareholdings in Recognised Stock Exchanges) Regulation, 2006. CBI had alleged that Shah, in connivance with SEBI officials, deliberately suppressed this material fact while applying for extension of recognition of the stock exchange, to conduct trade in currency derivatives, and fraudulently obtained the extension of recognition of the exchange in the year 2009 by cheating SEBI. The agency further alleged that the SEBI officials deliberately did not issue notice to the stock exchange for cancellation of its recognition in the currency derivatives, when SEBI had already rejected request of the same stock exchange for trading in other segments. 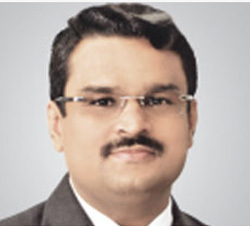 In a statement, FTIL said the CBI Mumbai has taken Jignesh Shah, Promoter & Chairman Emeritus of 63 Moons Technologies Limited (formerly, Financial Technologies (India) Ltd) into custody relating to investigation in the matter of recognition granted by SEBI to MCX-SX.